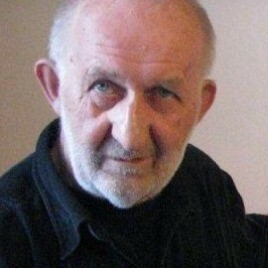 (born 1942) – a painter, graphic artist, writer and literary critic. In the 1960s and 1970s, he was a member of Oneiron – an esoteric group of artists who were fascinated with magic, alchemy and the Far East as well as various mind-broadening techniques. He released a niche periodical ‘Nowe Bezpretensjonalne Pismo Święte w Obrazkach’ [‘The New Unpretentious Holy Scriptures in Pictures’], which was distributed among friends in a number of... 2 copies. He often went abroad for scholarship stays, e.g., to Florence and New York. His works are characterised by a strong dose of surrealism. Apart from painting, he also takes an interest in literature and philosophy and occasionally publishes his texts in Gazeta Wyborcza, Literatura na świecie and Tygodnik Powszechny.